JUST like their captain Murape Murape had ordered, traditional slow starters Dynamos got the defence of their Castle Lager Premiership title off on a winning note when they edged How Mine at Barbourfields yesterday. Veteran midfielder Murape warned his troops last week against the danger of having to play catch up and demanded that they get their campaign off to a winning start. Murape, who however, did not see action in yesterday's match said Dynamos had to show that they had learnt from their terrible start last season in which they drew their opening five games. Although their skipper was not on the pitch, Dynamos seem to have heeded his call with their victory, however coming with a huge touch of class via an own goal by How Mine defender Brighton Dube two minutes from time. After putting up a top drawer performance throughout the match, Dube broke the hearts of his teammates when he directed the ball into his own nets to hand Dynamos maximum points. With the match seemingly headed for a deserved draw, a long pass from the midfield saw veteran centre back Gilbert Banda hesitating to touch the ball only to see an alert Washington Pakamisa rushing for the ball, at the same time forcing impressive goalkeeper Donovan Bernard to move off his line in bid to narrow the angle. Pakamisa, a 74th minute substitute for Patrick Khumbula, managed to beat the advancing national Under-20 goalkeeper but his shot appeared to be drifting off target as the ball was moving across the face of goal and in a bid to clear, an on-rushing Dube directed his clearance to an empty net, two minutes before full-time. The goal was even more painful for the gold miners as moments earlier, Morris Kadzola had been hacked inside the box by DeMbare new-boy Themba Ndlovu but referee Philani Ncube who had a decent day in office, waved play on. The match started on a blistering pace, largely due to the high levels of fitness from both sides as the two teams have been in action on the continent. In the 14th minute Simba Sithole was yellow carded by referee Ncube for simulation after a well timed tackle by Nyasha Mukumbi inside the box. A minute later How Mine's James Chitereki made a beautiful body swerve from a Brighton pass before letting loose a full bloodied shot which however went over the bar. 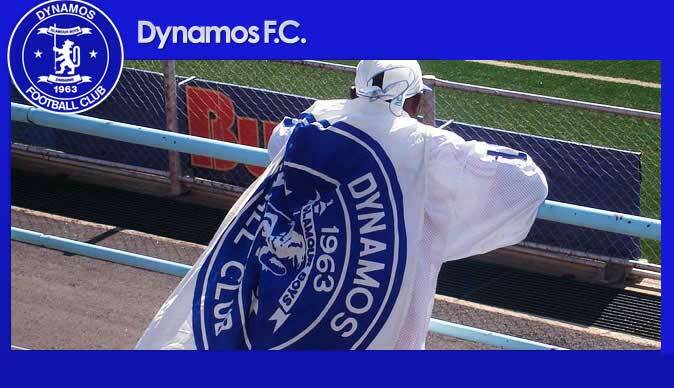 DeMbare were always deadly in attack, especially when pint-sized Ronald Chitiyo was in possession. The former Monomotapa talisman was slicing past the How Mine players with so much ease and the only way that one could dispossess him was through fouling him and Mernard Mupera was guilty of doing that in the 25th minute. The champions almost stole the lead in the 26th minute when Khumbula shrugged off a challenge but his shot was saved by Bernard, no doubt a future senior national team player prospect. How Mine could also have taken a lead, 10 minutes before the breather but Thembani Masuku shot wide with only Chigova to beat. In fact it was easier to score than miss.The first half ended with the two teams failing to find breakthrough. There was however an ugly incident moments after the referee blew for half-time when Bernard was struck with a missile thrown from the Mpilo End, occupied by Dynamos fans. He sustained a cut just below the eye. In the second half "Beefy" Ncube brought in Benjamin Marere for Godfrey Nguwodzawo while in the 61st minute, spectators witnessed the return of Devon Chafa from his six month suspension by Fifa after he had failed a drug test last year. Dynamos: G Chigova, O Machapa, A Mbara, S Linyama, T Ndlovu, W Mukanga (D Chafa 61st minute), S Alimenda, R Chitiyo (C Sekete 74th minute), S Sithole, P Kumbula (W Pakamisa 74th minute).